Every ODI being played at the moment is in sync with the preparations of the 2019 World Cup. The hype of the upcoming World Cup has so escalated to new heights. So much so that, teams are ready to lose an ODI series or two to find their perfect combination for the 2019 World Cup. Besides that, the 2019 World Cup will see a great change with respect to the previous World Cup as many of the legendary cricketers will not be a part of this gala event to be held in 2019. Kumar Sangakkara, Shane, and AB de Villiers are some of the great names who will be missing the 2019 World Cup. Meanwhile, the forthcoming World Cup will also be missing some of the great captains who were a part of the 2015 World Cup. 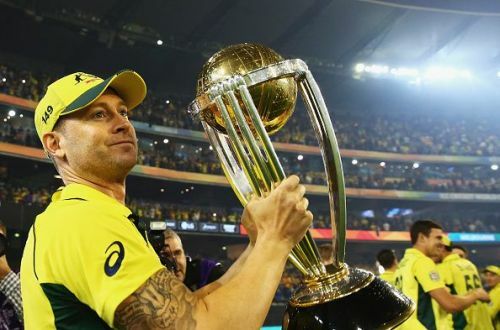 Thus, in this feature, we will have a look at five great captains of their respective 2015 World Cup teams who will be missing the 2019 World Cup. Michael Clarke, fondly known as Pup, had been a substantial part of Australian cricket. Back in his early days, he was part of an invincible Australia that ran every opposition mercilessly. Meanwhile, in the latter part of his career, he was appointed the successor of Ricky Ponting to lead the Australian side. Although he didn't achieve the greatness of Ponting, he was pretty much a decent captain who did the rebuilding of the Australian team at the stroke of the 2015 World Cup. 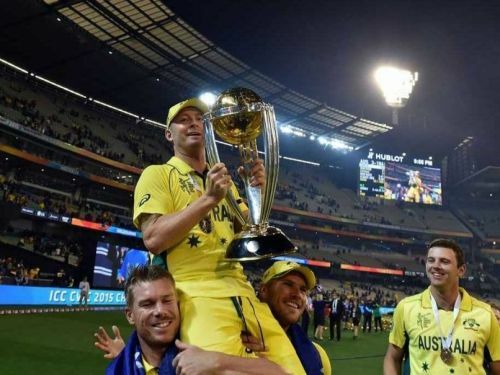 Clarke led Australia to fairytale World Cup win in 2015 which made Australia to win its record 4th World Cup title. Interestingly, the 2015 World Cup final turned out to be the last ODI match for Pup. Eventually, Michael retired from all forms of international cricket later that year. Besides a captain, he was a marvelous batsman who broke many world records, especially in Test cricket. Thus, having retired in 2015, Clarke will be one of the few captains from the 2015 edition to miss the 2019 World Cup.